Figured go the Two QB Approach like the redskins did with RG3 and Cousins until we can get it right. A guy just did a 7 round mock in the mock draft forum. This is what I put together based on who he had available. Some of these players won’t be there. Thoughts? I'll bet Fangio would love to add White to his LB group. Lot of these are way off Adderly isn't going past us at our second uf hes there. Honestly a do it all safety is probably going 1st round. I was going to (try) to put a poll up to see who folks wanted at 10. I’m not in any way a college talent evaluator, so for reference, I thought I would scan some “Top 100” lists to get a sense of the consensus players in the 5-15 range. what amazed me is how little consensus their seems to be. For example, most everybody has White as the top ILB, and ranked overall from around 10 to 20. But the ratings on CB, WR, TE are all over the place. Even on the OL, seems to be a lot more discrepancy than in years past. I’ve seen Greedy Williams from around 6 to 35 (Top CB to 4th or 5th.). WR seems to be a “pick your favorite” approach. I’ve heard great things about Risner - I’ve seen him from 14 to not in the top 50! Just seems to be a lack of consenus this year about some of the top prospects out there - more so than in prior years. 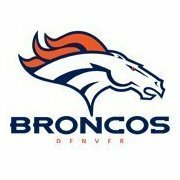 If we Got White, Lock and Adderley in rounds 1-3, that should be the end of all complaining about Elway’s poor Drafting for years to come.! Thta would be an amazing result, but Lock, Adderly & Edoga are going way ahead of those spots IMO. Edoga's footwork at the Senior Bowl was eye-opening, and that kind of skill set usually translates to more Combine helium too. Love the idea, but sadly I'd be surprised if Adderly/Edoga were even there a round earlier, and Lock's skill set is so Combine-friendly, the talk about Round 2 would require a major off-field issue or some catastrophic performance issue (that doesn't seem apparent) at the Combine or interview IMO. So, the Eagles pick up Fole's $20MM option??? Which it looks like they are going to do. Does that put Wentz in play for a trade? Because I'd gladly give the #10 pick for him. No. This is their (acknowledged) plan to secure Foles rights so that they can trade him. The will pick up the option. He’’ll exercise his $2M buyout. Then they franchise him. Then they trade him. Rumor is they are (will be) looking for a 3rd Rd pick. Btw. Rumors are that Dolphins will be parting ways with a Tannehill,but plan to “Tank for Tua”. Silly season, so who knows. But could mean 1 more QB on the market, and one less team in the mix for a Rd 1 QB. Would love to have Fromm next year. Build this team up. Per Adam Schefter, Brandon Marshall will be a free agent on March 13. Looks like we save $5m on this move, as we will have $4m dead cap (but obviously won't be paying his $9m salary. Messing around on Spotrac a bit, we have $16m cap space prior to this move. Keenum and Marshall releases would put us at $32m. Ron Leary on top of that gets us to $40m. League average is about $37m right now. No brainer to not pick up the Marshall option. Too injured and doesn't have the explosion to counter his lack of weight any more. Loved him in his prime - one of my favourite players to watch. Not surprised Marshall will be let go, injuries have really hampered his ability. Wouldn't be surprised to see 2 new starting ILBs next season. Davis doesn't fit what Fangio requires out of his ILBs. Not sure Leary is going anywhere because a large part of his salary is guaranteed due to injury.